Refinery29, the digital media company catering to millennial women, announced Tuesday that it will begin to identify, purchase and co-distribute films with NEON, the movie studio responsible for the release of I, Tonya and Ingrid Goes West. Why it matters: It's the latest example of a digital publisher diving into long-form content to create a new revenue stream and engage their audiences in places other than big social platforms, like Facebook, which is sending less traffic to publishers. This is Refinery29’s first foray into feature films, although the company has been involved with short-form video series for a long time. Refinery29's Chief Content Officer Amy Emmerich says the move piggyback's its "Shatterbox" project, a short-form video initiative created to support female filmmakers . Other series like "Try Living with Lucie" live primarily on YouTube. 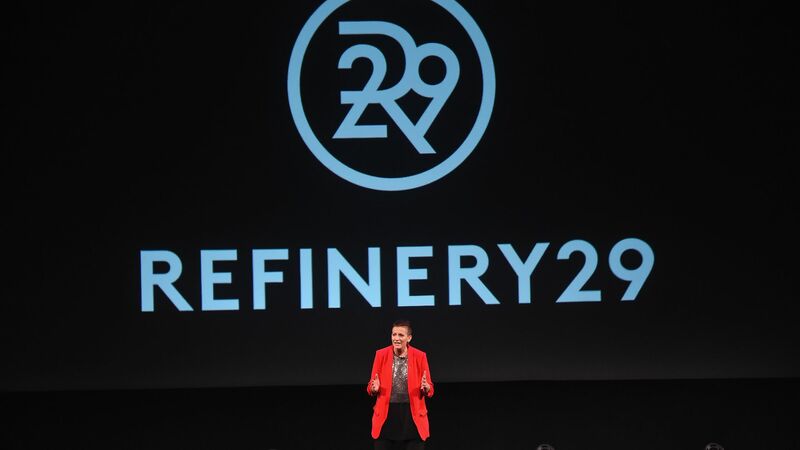 The big picture: Like other venture capital-backed digital media upstarts, Refinery29 has had to adapt to the changing media landscape in order to ensure its brings investors returns at high multiples. Sources say the company experienced a significant transition of traffic away from Facebook over the past year, and has instead had to reinvest in its search-engine optimization efforts. The company of over 400 laid off 34 staffers in December as a result of what they said was a challenging advertising environment. What's next: The first feature created and distributed by NEON and Refinery29 will be Assassination Nation, which will debut September 21st. The company is also working on a production called Little Woods, which was written and directed by Nia DaCosta, and stars Tessa Thompson and Lily James.